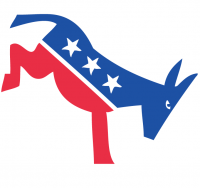 Greater Palatine Area Democrats | Most progressive tax cut ever! President Obama proposed a 2% cut in the Social Security payroll tax, which Congress passed last year but Republicans resist extending through 2012. Too little attention has been given to how progressive this tax cut is. That’s because the payroll tax is the most regressive tax in America. Employees pay 6.2% of their income up to $110,100, and nothing above that. For an employee who makes $110,100 or less, that’s a tax rate of 6.2% on top of whatever income tax the employee pays. But an employee who makes 10 times that amount ($1,101,000) pays 0.62% of his income. And Mitt Romney, who made $21,646,507 in 2010, paid less than 0.14%. In contrast, cutting the payroll tax by 2% saves a worker who makes $110,100 or less 2% of his or her income. But it only saves Mitt Romney 0.01% of his income. No wonder he doesn’t like it!